Super boring day at work one day last week and I always get myself into trouble when I have one of those. I made some great book purchases and some bad jersey purchases. 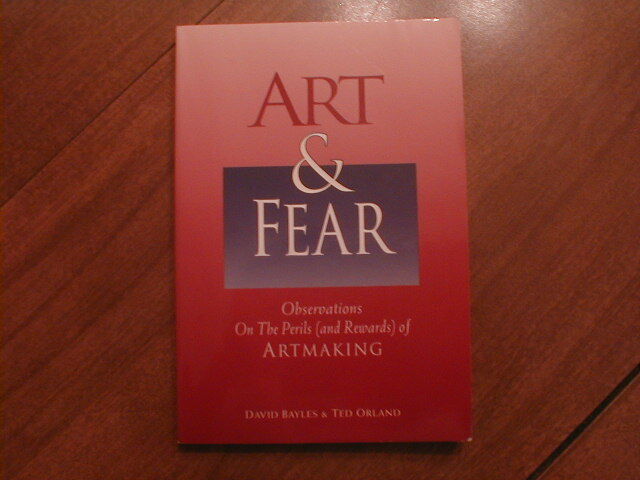 Finally I have the book Art & Fear for my personal library. I must tell you all if you do not have this book go and get it cuz it’s a good one. My Local Library has a program where if it is in one of the adjoining libraries you just request it and when it shows up at the local one they shoot me an e-mail and I go pick it up. I recommend the try before you buy program because you just never know when you will buy a klunker. When I tried it last year I liked it so much that I paid over 4.00 in late fees because I just did not want to take it back. Stupid I know because I could have paid for the thing already but hey we all make bad choices every once in a while. 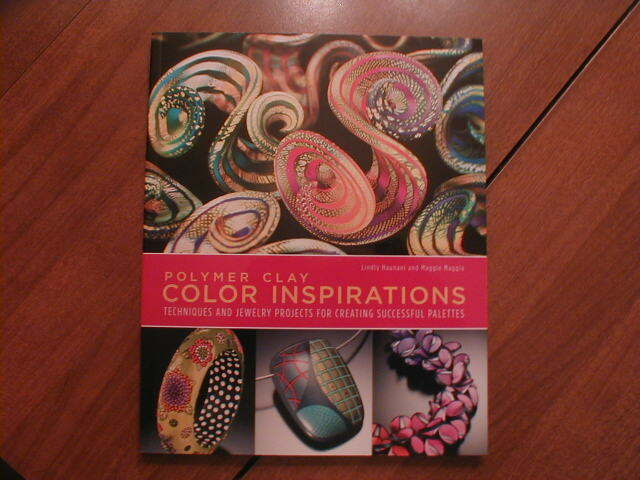 Other book purchases were Polymer Clay Color Inspirations by Lindy Haunani and Maggie Maggio. I had heard from a lot of people that this was like a workbook in color and have wanted to try it since I spent my summer two years ago mixing colors…..well now is my chance. This one is going to Dallas with me. 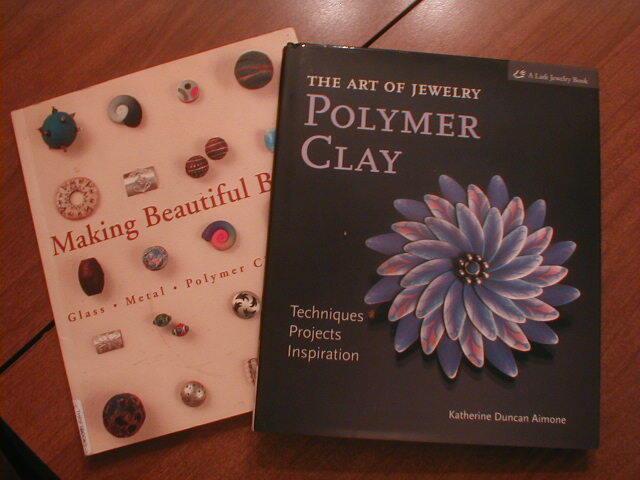 I also purchased The Art of Jewelry Polymer Clay and Making Beautiful Beads these were to replace books that someone borrowed and just never gave back. So that was my good part of the shopping spree. The jersies I really do not want to talk about except to say that it involved me closing my bankcard and filing dispute papers. Going to Dallas for some much needed F’s leaving hubby and son at home…….. I will check in with you guys when I get back and I am sure I will have some Dallas musings along with my clay mixing antics. Enjoy your days and I can not wait to dig into my books and see what comes out of them! This entry was posted on September 10, 2010 at 10:34 PM and is filed under Artistic Motivation, inspiration, Persperation, Polymer Beads, polymer clay, Polymer Clay Cane. You can follow any responses to this entry through the RSS 2.0 feed. You can leave a response, or trackback from your own site.